Group headed out for a snowshoe trip up Teanaway and Tarzan Buttes. Snow was pretty consolidated and didn't really need the snowshoes. More information on the lookout: This is a former lookout site. 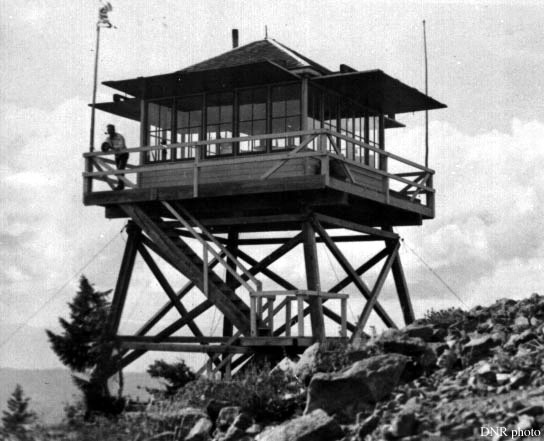 The lookout was built in 1940 as a L-4. By the mid 1950's it was abandoned and it was destroyed in 1968. Apparently (?) there was also a tree platform which is still there.